Toronto: Simon & Schuster, c2017. This newly released book was a beautiful and bittersweet read. 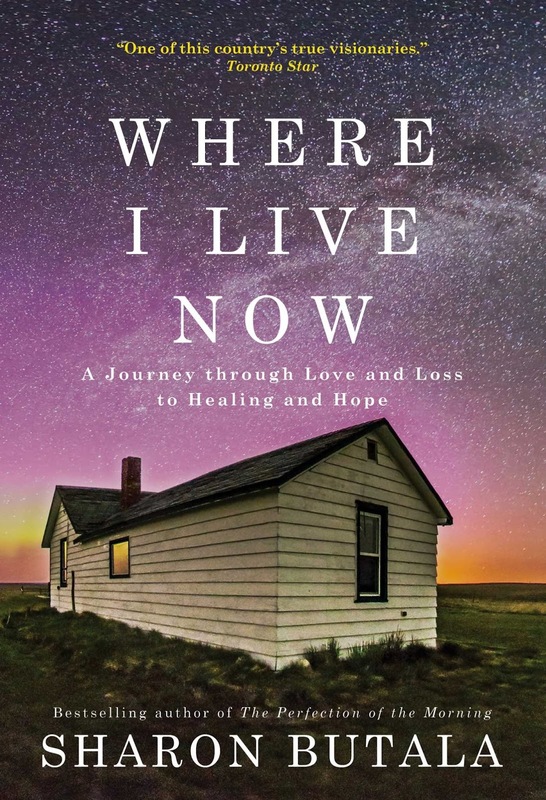 Butala is a writer known for her descriptive powers, as she has published many books about the small area of Southern Saskatchewan that she relocated to from the city, decades ago when she met her husband Peter. Many of her books lyrically describe the landscape of the very large Butala ranch and its environs, and talk about the particular codes of this isolated rural community. This one does the same, but in a more overtly elegaic manner. The story starts with Butala having to leave the land that has become a part of her over 30 years. This is because, unexpectedly, her husband becomes terminally ill, and there is no way for her to stay on alone. The chapters in which she discusses her husband's illness are emotionally fraught, and when she describes the final moments they had together, I was overcome and had to put the book down for a couple of days. But I had to go back to it. Her writing ranges from the history of the land (ancient to current) to examinations of her marriage to thoughts about her place in this rural community, and in the new community she finds herself making in Calgary, of all places. As usual, the writing is measured, thoughtful, and philosophical, while being utterly grounded in the physical world. She can describe the beauty of sunsets, fields, skies, and history itself, while retaining a sense of humour about herself and her enthusiasms - like the time she thought she'd discovered a large dinosaur bone (tip: it wasn't). She gives the reader a candid account of her journey through grief and loss, and does so in a way which comforts through her understanding of the larger sweep of existence. Looking back and speaking of the life and the person she's lost bring vibrancy to them once again. 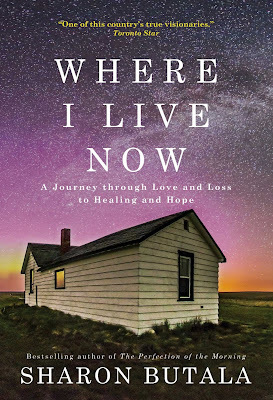 Her story also provides a sense of how the loss of both a spouse and a way of life untether a person, how it takes time to find a place for oneself again. I found this book both beautiful and heart-breaking. Butala is, as always, honest and heartfelt in her writing, and it is very powerful here. Sounds lovely. Thx, Melanie. I'm one of the few who didn't love Year of Magical Thinking. There are so many better memoirs on the subject of loss that go deep in a way Didion did not. I'm guessing this is one. I haven't read Didion so can't compare, but this one really did move me. Oh dear. I absolutely loved her earlier books about their marriage and time on their land. (Perfection of the Morning, Wild Stone Heart, etc.) This must have been just heartbreaking. I can't imagine. I'll put this on my TBR, but I'm not sure when that will happen although I'm sure she has written about it beautifully. Oh, I know -- when you've read her earlier books this one is even tougher. Saying goodbye to everything -- well let's just say I had to pace myself reading this. Very lovely review, Melwyk. The book sounds heart-breaking and worth reading.